Dial.log is a company established in Finland in 2009 in order to deliver and improve corporate branding through direct work with the client. This work is established ensuring their clients use creativity to drive everything from employee behaviors and new product development to visual identity and communications. Most important points in our work are those which are in the same time the strongest ones based on our experiences. Those points are corporate branding, brand communication and internationalization. Born in Serbia in a Mediterranean family with design in her blood, Ivana’s father’s was a photographer; mother and brother both worked in print & publishing industry. Life in Serbia was challenging so after graduating in graphic design Ivana went to study politics in Germany. At just the age of 25, she was appointed as the youngest Director of Brand Communications in Central Asia. Now having over 10 years of experience in building strong brands, she has successfully delivered strategies and campaigns for big corporations and SMEs. Within the last 5 years Ivana has shared her learnings and expertise to others via training sessions in academic institutions and business advice centres across Europe. Determined, courageous and adventurous by nature, she came to Finland to start her own company two years ago. “My work is a creative combination of Mediterranean emotions and German discipline”. 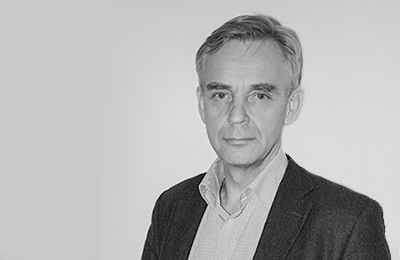 Harri Mäkitie’s experience includes practice on all levels of the organization. He works individually in coaching/mentoring and leadership development with executives; in small groups on team development, conﬂict resolution and skill building; in larger groups working with systemic change processes, visioning, diversity work and group cohesion; and with whole groups within an organization working on collaboration, conﬂict resolution, strategic directions and change processes. Depending on the presenting needs of the organization, he can at one time work with one member of the organization and at another a group of several members. The ﬁrst step in this consulting process is a discussion with Harri as to what the organizational needs are. Each consulting approach is designed in close collaboration with the organization to precisely meet the needs of the organizational system.